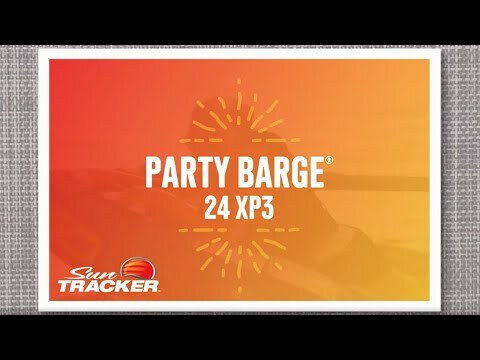 Get ready to enjoy more time on the water with more people, more watersports and more memories with the 26’ 2” long PARTY BARGE 24 XP3. Load up the underseat and Stow More compartments throughout with more gear. Load up the four couches with more family and friends. Rev up the Mercury motor (up to 250 horsepower!) for more speed and more cruising. When you’re at your favorite cove, extend the QuickLift Bimini and set up the table for more picnics. And don’t forget to take advantage of the full-width swim platform for more swimming fun. The result? More memories for years to come. Max. person weight: 1900 lbs. Max. weight capacity : 2800 lbs. Average package weight: 5419 lbs.